A wonderfully kind group has begun a trend of creating Free Pantries for those in need. They simply put a pantry outside in a busy location and fill it with food and other useful daily necessities, and allow anyone donate to it and allow anyone to take what they need from it at any time. 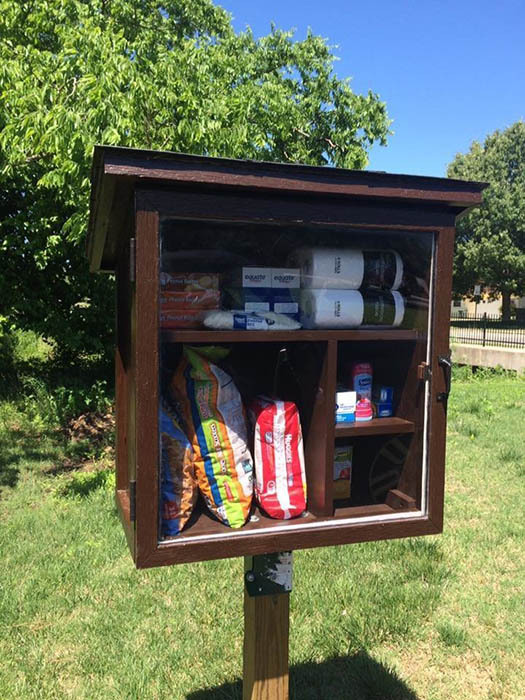 The Little Free Pantry is making a big difference in the community of Fayetteville, Arkansas, as it gives the community a place to donate food and supplies to people in need. Jessica McClard was inspired to build The Little Free Pantry after she noticed Little Free Libraries around her hometown of Fayetteville. 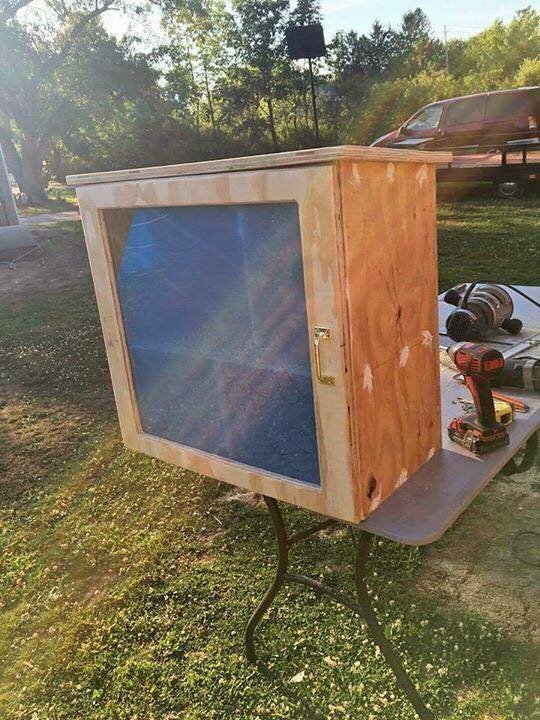 While jogging, she enjoyed frequently stopping at the Little Free Libraries to see the books it had, and as time went on, she started wondering about why she and others were so drawn to interesting community boxes. “My feeling is little free structures both create space for neighborliness and address social problems,” Jessica said. She then started to wonder if a similar concept could address other social issues that needed attention. “Books nourish. Food nourishes,” she thought, and that’s when she came up with the idea to build a little free pantry stocked with food and other items in her neighborhood. Jessica received a micro-grant of $250 through Thrivent Financial, to be used for a community service project, and she wanted to use the money to fund this community pantry to help those who were struggling with providing for their basic needs. 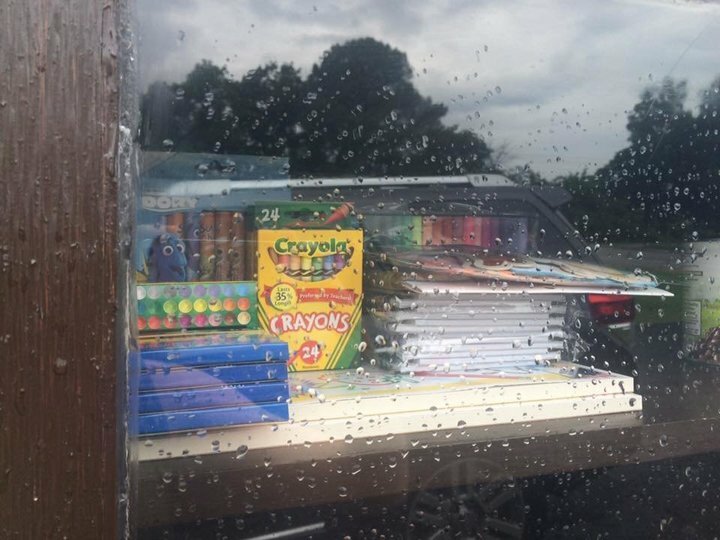 The first box was mounted in front of the Good Shepherd Lutheran Church in Fayetteville, where it became very popular almost immediately; with shelf-stable food items, toiletries and paper goods coming and going regularly. 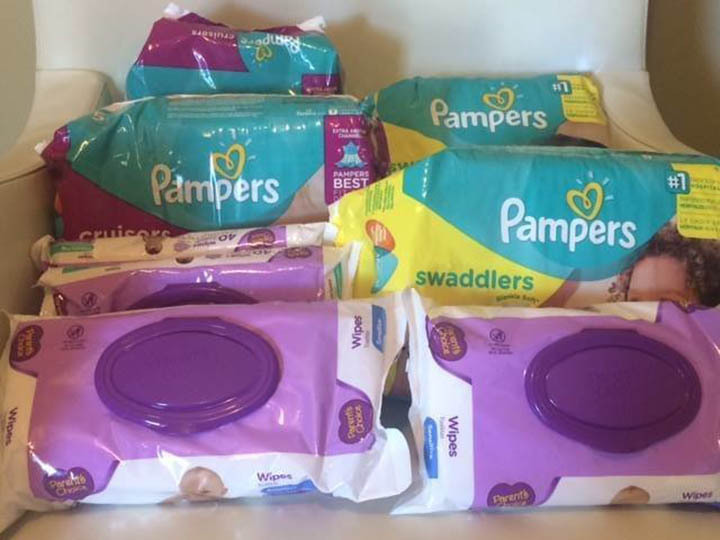 “Peanut butter and jelly, feminine hygiene products and diapers are in demand,” Jessica said. She also mentioned that bread and garden vegetables are used quickly and within the same day by the hungry. Her pantry is also near an elementary school, so she likes to stock it with supplies and other goodies for kids who may not be able to afford all of their school supplies. “On the last day before summer vacation, I tied balloons to the top and stocked the box with bubbles, jump ropes and candy necklaces,” she said. 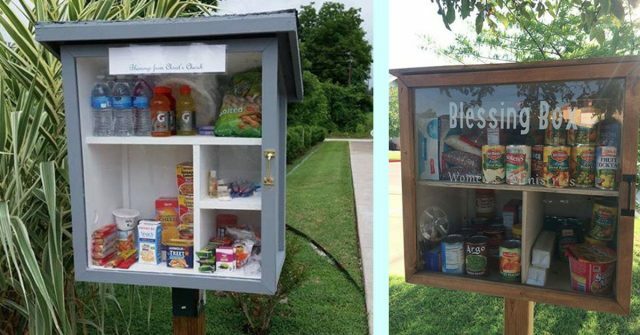 Jessica’s pantry has inspired others to make similar pantries, like Christ’s Church Little Free Pantry in South Fayetteville and The Blessing Box at Crystal Rock Cathedral in Ardmore, Oklahoma. Jessica is deeply grateful for their efforts, and does all she can to promote their pantries as well as her own to those in need. 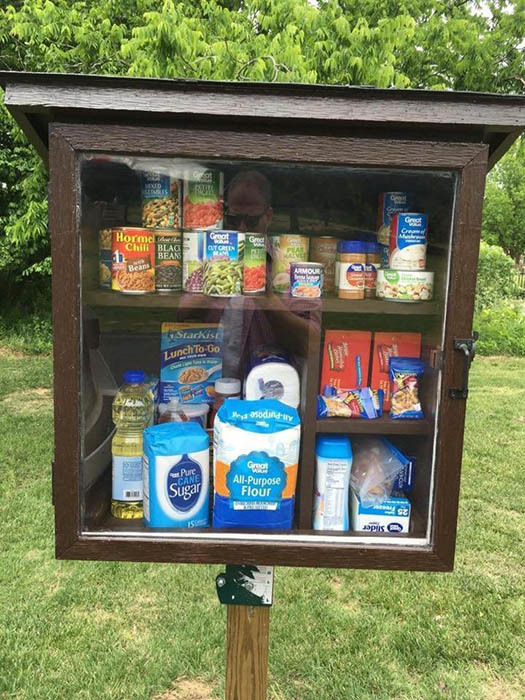 If you’re interested in building a little pantry in your town, visit The Little Free Pantry’s site and get some ideas for how you can help those in need in your community. It not only provides for the poor, but it also promotes compassionate giving within the community; a beautiful thing that each neighborhood could use more of. Even the smallest of extra unused items you have laying around your house, or a little extra food from time to time, can help someone who is struggling get through their day. Consider spending a few hours setting up a pantry, you may be amazed by how much kindness you inspire.